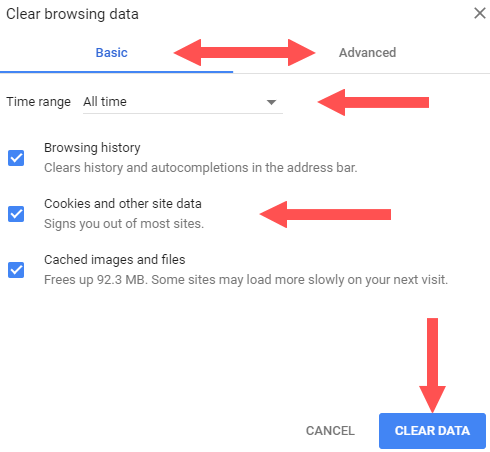 This tutorial will show you step by step how to clear your web browser's cache, cookies, and history in Google Chrome, Mozilla Firefox, Opera, Microsoft Edge, Internet Explorer, Brave, and Vivaldi. When you browse the internet your web browser will store data, such as cached images, cookies, browsing history, download history, passwords, site preferences, search history, and other data of the websites you visit. A web browser stores your internet history, so that the next time you visit that website again, it will load faster because it doesn't need to download and load all the images and other files again – since they're already are stored in the cache on your computer. A Clear All History window will appear. 3. At Time range to clear, you select a time range (e.g., Everything, Last hour, etc.). 4. At Details, you select everything you want to delete. 5. Click on the Clear Now button. 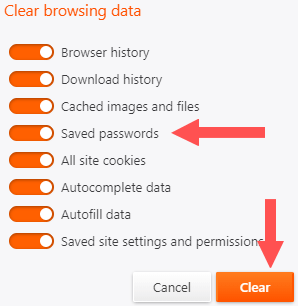 Mozilla Firefox will now clear your internet history (cache, cookies, saved passwords, browsing history, etc.). 3. At Obliterate the following items, you select a time range (e.g., the beginning of time, the past hour, etc.). 4. Select everything you want to delete. 5. 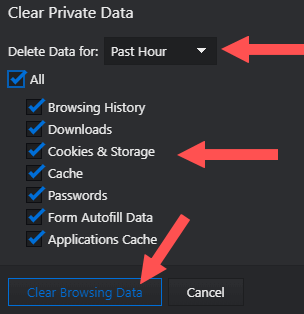 Click on the Clear browsing data button. Opera will now clear your internet history (cache, cookies, saved passwords, browsing history, etc.). A Clear browsing data sidebar will appear. 3. Select everything you want to delete. 4. Click on the Clear button. 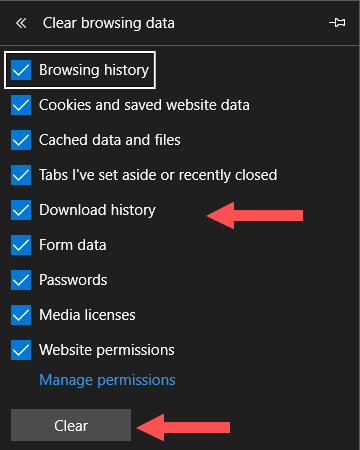 Microsoft Edge will now clear your internet history (cache, cookies, saved passwords, browsing history, etc.). 3. Toggle everything you want to delete. Brave will now clear your internet history (cache, cookies, saved passwords, browsing history, etc.). A Clear Private Data window will appear. 3. 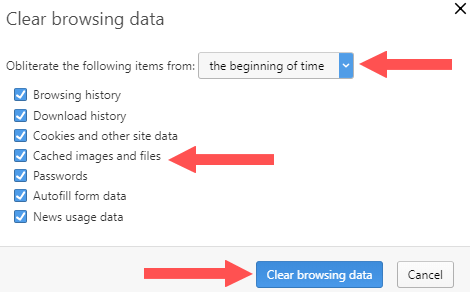 At Delete Data for, you select a time range (e.g., All Time, Past hour, etc.). Vivaldi will now clear your internet history (cache, cookies, saved passwords, browsing history, etc.). 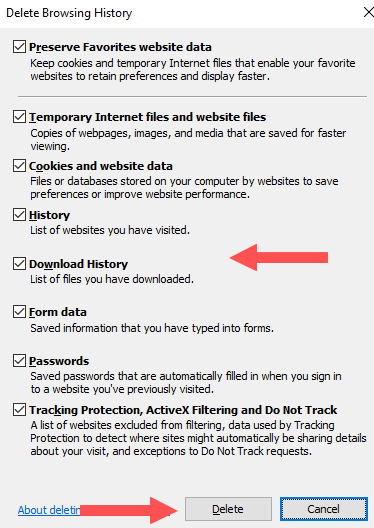 A Delete Browsing History window will appear. 4. Click on the Delete button. 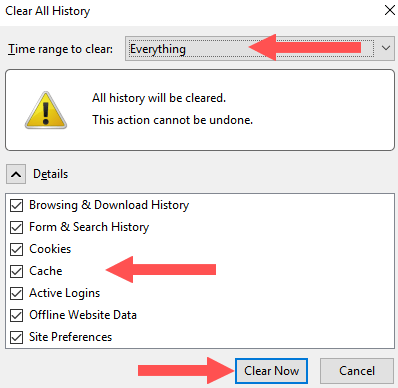 Internet Explorer will now clear your internet history (cache, cookies, saved passwords, browsing history, etc. ).